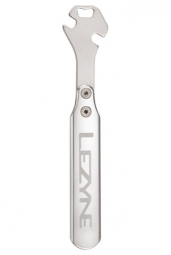 The Lezyne CNC Pedal Rod is a heavy-duty, shop quality pedal wrench designed with two 15mm offset wrench openings positioned for optimal leverage and ease of use. The tool head is made of a stamped, CNC machined, and heat-treated steel plate and has an integrated bottle opener. 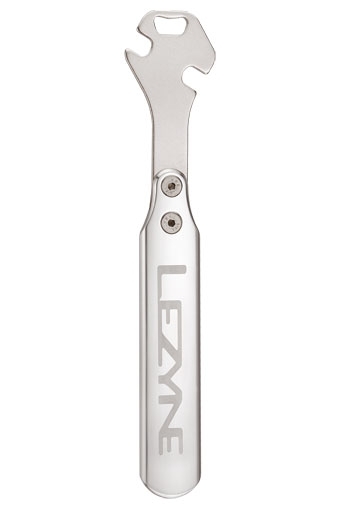 100% aluminum handle is CNC machined for precision, strength, and durability. LEZYNE Clé à pédale Acier crmo is rated 5.0 out of 5 by 1. Rated 5 out of 5 by JL04 from Qualité pro Clef fabriquée avec des produits de qualité, robuste. Je m'interroge sur la présence d'un décapsuleur? mais pourquoi pas!! !